Collects Incredible Hulk (2000) #12-33 And Annual 2000-2001, Sentry/Hulk #1, Hulk (1999) #1/2, Hulk Smash #1-2 And Startling Stories: Banner #1-4. Paul Jenkins, one of the most cerebral writers in comics, gets deep into the head of Bruce Banner — and finds the monster within! But you've never seen a Hulk more hellish than the one dwelling deep inside the grief-stricken and guilt-ridden Banner. 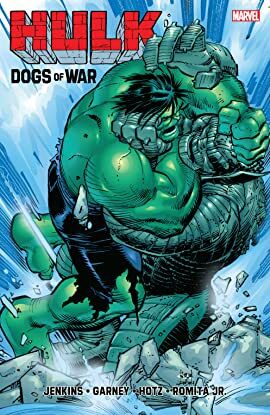 Afflicted and unbalanced, the Hulk is hounded worse than ever before when General Ryker lets slip his gamma-powered Dogs of War — their bite is every bit as bad as their bark! 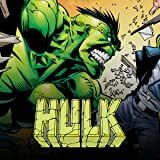 The Hulk's tortured soul is pushed even further toward its limits when a person dearest to him is killed by one of his oldest and deadliest foes! Plus: Hulk smashes in startling stories from Garth Ennis, Brian Azzarello and more incredible creators!